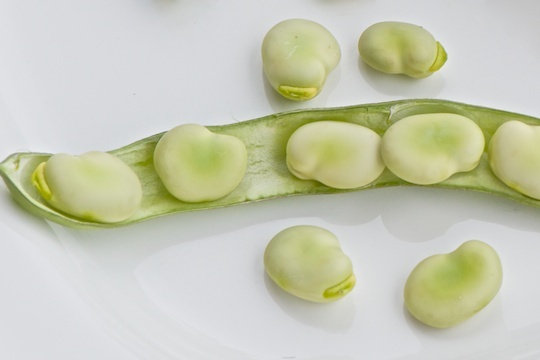 Fava beans have a distinct flavour. Although they are available here in the summer I find that many are not familiar with them. They are common in Italy, Spain, France and the middle east. There are different ways of preparing them and I usually opt for the simplest: boil the shelled beans in salted water, peel the outer layer and enjoy them drizzled with olive oil and sprinkled with coarse salt. I sometimes use vinegar or lemon juice but not always and I add one or two fresh herbs that I have on hand. I have written about fava beans here and made a fava bean and peas crostini with a chunky spread that was quite delicious. 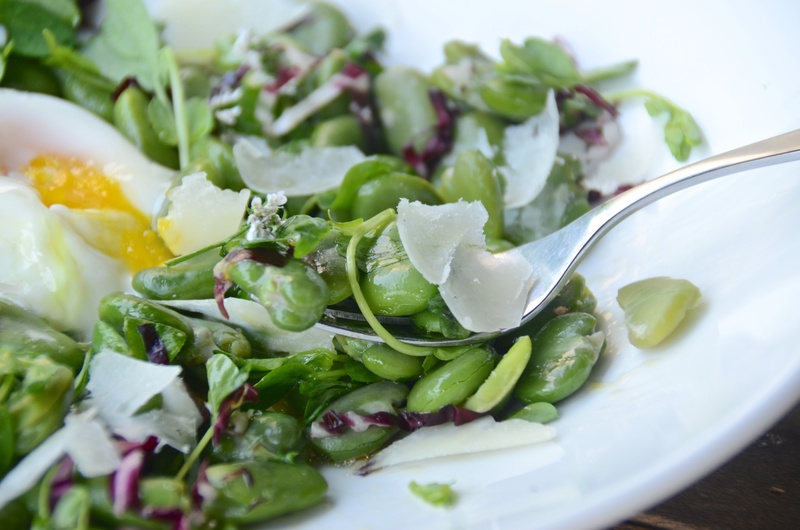 We have fabulous fava beans here in the Okanagan valley right now. I can drive two minutes behind our place and find them at the vegetable stand where the farmer grows them in the fields behind their house. This morning the velvety pods were just picked and were still warm from the morning sun. It does not get any fresher than this. So of course I came home with a pile (did I mention pile?) of beautiful warm and fresh fava beans nestled in their plush little cushiony shells. Irresistible. The beans can be eaten cooked or raw. 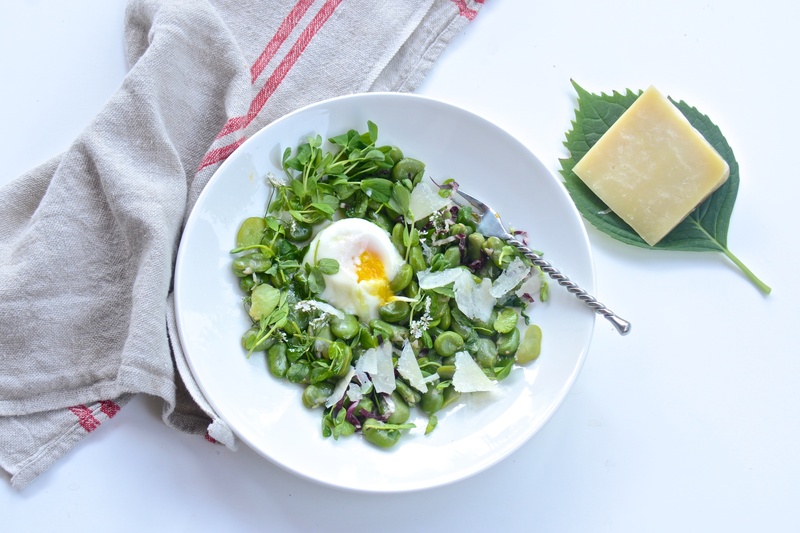 I hear from my Italian friends that in Italy they pile unshelled beans on the table and they shell and eat them with a sprinkling of salt and a bite of pecorino now and then, all while enjoying a glass of crisp white vino. I can do that. One of the “problems” with fava is that unless they are very young, tender and small they require that you peel off the sheer encasing that wraps around the bright green beans inside. If you can find them young and tender you don’t need to peel them. I like to peel them if only for the bright green colour you are rewarded with once they are out of their shells. So I bought these fava beans and wanted to cook them while they very fresh. Things went without incident. I shelled the beans, boiled them, dropped them in cold water to stop the cooking and then spent some time removing the clear encasing bean by bean. Labour intensive but there weren’t THAT many beans. I wasn’t cooking for a crowd. I drizzled some of the shelled beans with good olive oil, sprinkled with fleur de sel and drizzled just a couple of drops of vinegar. I poached an egg and placed it on top of the beans. I had a beautiful plateful for lunch and enjoyed it in a shady, cooler corner of the patio with just a little bit of white wine. It made me feel old world European for the moment. I have a good imagination. Shell the beans, releasing them from the thick pods. Bring a pot of water to a boil and add the shelled beans. Cook for about 5 minutes, then drain and plunge the beans into a bowl of ice water to stop the cooking. Begin peeling the bean to remove the outer clear shell. You can do this by making a slit on the opposite end from the flower end (flower end has a dark line) and squeezing the beans between your fingers. The bright green inner beans will pop out easily. You don’t have to use all of the beans at once. Place as many as you need in a bowl, drizzle with olive oil and sprinkle with salt. Add the pea shoots and radicchio and mix lightly. Spoon onto a plate and drizzle with vinegar. 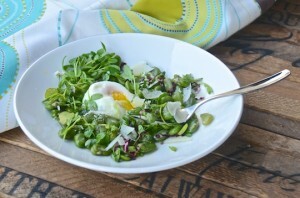 Place the fried or poached egg over the beans and serve at once. I have seen them at the markets and am one of those people that does to know what to do with them. I truly believe that simple is best. Hey Val. You see them a lot in Mediterranean cuisines and in many of the new vegetables books sprouting all over.